School is back in full swing and I'm sure you're like me when your kids get home from school they'll be looking for something to do after homework. Thanks to Hasbro you can do just that. 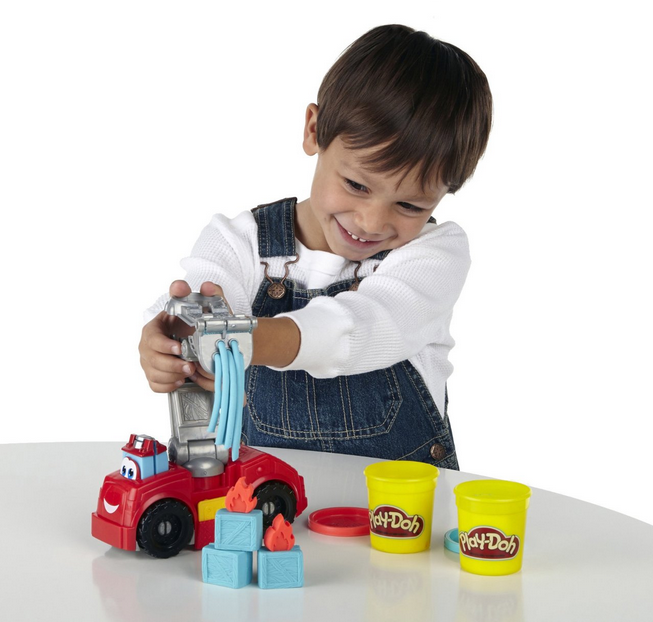 You can tap into your sons creative streak and let them mold and shape and create whatever they want thanks to the Play-Doh Diggin' Rigs Boomer the Fire Truck Playset. 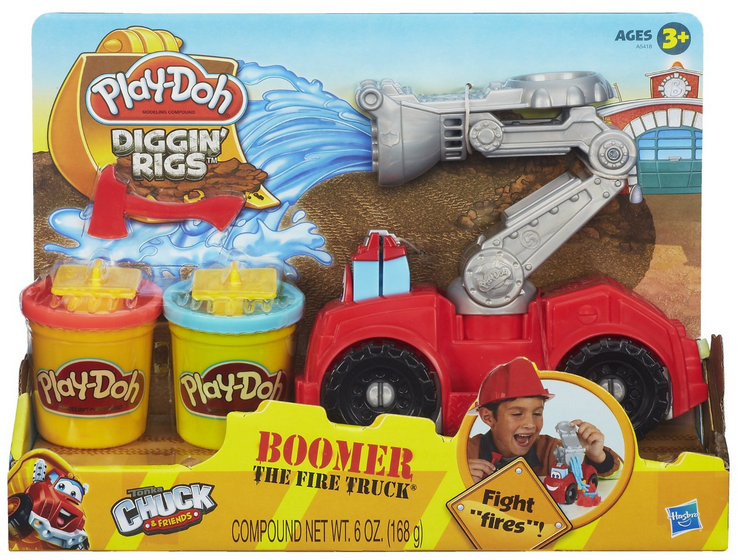 Boomer is a cute fire truck that comes complete with an extendable ladder, molds and stampers to help them make bricks, blocks and flames to make their scene complete. Boomer even has a hose the can shoot “water” to put the flames out. Play-Doh is timeless fun that lets your child tap into his or her creative streak and make whatever they want and they'll have hours of enjoyment and you will too! I've never gotten tired of playing with Play-Doh and I don't think I ever will. I'm not as skilled as I used to be but the fun is still the same. This fun set is available for $14.99. If your son is more of the crack shot he'll be thrilled to play with the Nerf N-Strike Elite Precision Targeting Set. This is a lot of fun for everyone. Set up the target then test your accuracy from up to 85 feet away. This is a (no pun intended) blast to play with and will challenge everyone no matter age or skill level and the N-Strike is a great rainy day toy and is so much fun and is something you'll get hours of enjoyment out of. This Nerf set retails for $19.99. Make after school fun, head on over to the Hasbro Toy Shop. and see all the fun available for you and your family. Stay social with Hasbro for more information follow them on Facebook and Twitter. What Hasbro toys do your kids love? 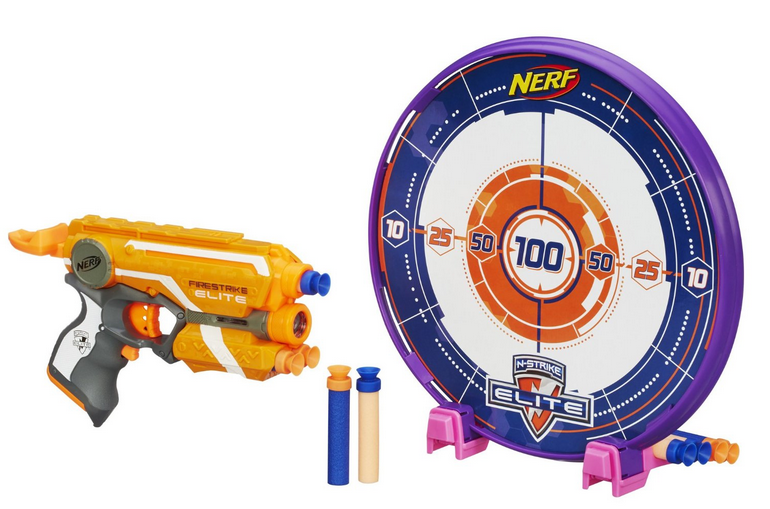 The generous folks at Hasbro are giving one of Susan’s Disney Family readers a chance to win a Nerf N-Strike Elite Precision Targeting Set Would you like to win? Please visit the Hasbro site, take a look around then come back here and tell me what your favorite Hasbro toy is? There are also other ways to enter, please enter below. You can purchase these toys shown here and much more in a store near you or online at the Hasbro Shop. One winner will win a Nerf N-Strike Elite Precision Targeting Set. Disclosure: The reviews and or opinions on this blog are my own opinions . I received the above toys to review. No monitory compensation was received. I was not required to write a positive review. Your experience may differ. The opinions I have expressed are my own I am disclosing this in accordance with the Federal Trade Commissions 16 CFR Part 255: Guides Concerning the Use of Endorsement and Testimonials in Advertising . I also like the Transformers. Transformers Age of Extinction Bumblebee Power Attacker would be a hit here. I also really like the Marvel Avengers Gamma Fist Hulk Figure. I would love the Disney Princess Pop-Up Magic Castle Game and the Captain America Marvel Legends Variety Pack. Thank you for the wonderful giveaway. I would also love to have the FurReal Friends Baby Cuddles My Giggly Monkey Pet. I'd like to get my daughter Hasbro's Connect 4 because I loved playing that game a child! I also like Mr Potato Head. My nephew would also like the NERF N-STRIKE ELITE DEMOLISHER 2-IN-1 BLASTER. i like the Marvel Super Hero Mashers Spider-Man Skycrawler Vehicle. I really like the Shop Play-Doh Classic Pack of Colors - 12 Pack. I also like the My Little Pony Crystal Princess Palace Playset from their site. I like the Playskool Heroes Angry Birds Go! King Pig Basher. My kids are huge nerf fans and they would also love Nerf Mega ThunderBow Blaster. I love the Beyblade Shogun Steel BeyWarriors BW-10 Guardian Leviathan Battler! I like the PLAY-DOH ANGRY BIRDS BUILD ‘N SMASH GAME. I like the Mr Potato Head. My son would also love the Marvel Super Hero Mashers Hulk Vs. Loki Mash Pack! Love the Mr Potato Head! I also like the Nerf Mega ThunderBow Blaster. I Also Like The PLAY-DOH ANGRY BIRDS BUILD ‘N SMASH GAME. My son loves Transformers (and Nerf!). Thanks for the chance to win! 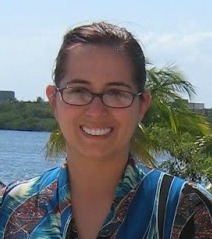 I like The Simon Swipe!! My kiddos would love this and the Mr Potato Head!!! My grandson really wants a Easy Bake Oven this year.